One of the Department of Homeland Security’s most important operations, the Immigration and Customs Enforcement (ICE) office is the second largest law enforcement organization in the US, topped only by the FBI. ICE enforces both immigration and customs laws, which involves going after illegal immigrants in US territory, employers who hire illegal immigrants and those trying to smuggle goods or contraband into the country. In the short time it has existed, ICE has been the subject of numerous controversies over its handling of illegal immigrants. Immigration first became a political issue in the late 19th Century as waves of European and Asian immigrants flooded into the US. After the Civil War, some states started to pass their own immigration laws, which prompted the Supreme Court to rule in 1875 that immigration was the responsibility of the federal government, not the states. To solidify this duty, US officials created the Office of the Superintendent of Immigration within the Treasury Department in 1891. This office was responsible for admitting, rejecting and processing all immigrants seeking admission to the United States and for implementing national immigration policy. Legislation in March 1895 upgraded the Office of Immigration to the Bureau of Immigration and changed the agency head’s title from Superintendent to Commissioner-General of Immigration. Also during the 1890s, the legendary immigration station at Ellis Island in New York opened and became the nation’s largest and busiest immigrant-processing center well into the 20th Century. In 1906, Congress passed the Basic Naturalization Act which established naturalization procedures that have endured until today. The act encouraged state and local courts to relinquish their jurisdiction over immigrants to federal courts, and it expanded the Bureau of Immigration into the Bureau of Immigration and Naturalization. Seven years later, in 1913, the Department of Commerce and Labor reorganized into today’s separate cabinet departments, and for a time, the Bureau of Immigration and Naturalization followed suit, each becoming a separate bureau, one for immigration, one for naturalization. After World War I, immigration into the US again rose, prompting Congress to act once more by instituting the national-origins quota system. Laws passed in 1921 and 1924 limited the numbers of newcomers by assigning a quota to each nationality based upon its representation in previous US census figures. Each year, the State Department issued a limited number of visas; only those immigrants who had obtained them and could present valid visas were permitted entry. Because of the limitations that the quota system imposed on immigration, illegal attempts to enter the US first began to occur. Illegal entries and alien smuggling occurred along land borders, so Congress created the Border Patrol in 1924 within the Immigration Service. Stricter immigration policies coupled with Border Patrol apprehensions resulted in the bureau getting involved in deportations. In 1933, Congress decided to remarry immigration and naturalization into one agency, creating the Immigration and Naturalization Service (INS). With war brewing in Europe in the 1930s, immigration took on greater importance, especially with fears of fascist spies entering the country. President Franklin D. Roosevelt moved the INS from the Department of Labor to the Department of Justice in 1940. The task of securing American borders against enemy aliens became a key duty of the INS during WWII, causing it to double in size, from approximately 4,000 to 8,000 employees. In the post-war era, immigration concerns shifted from those of European descent to those entering the US from Latin America and Asia. In 1965, Congress amended federal immigration law by replacing the national-origins system with a preference system designed to reunite immigrant families and attract skilled workers. Although the number of immigration visas available each year was still limited, Congress continued to pass special legislation, as it did for Indochinese refugees in the post-Vietnam era of the 1970s. The Immigration Reform and Control Act of 1986 expanded the INS’s responsibilities, making it more of a modern-day law-enforcement agency. The act charged INS with enforcing sanctions against American employers who hired undocumented aliens. This meant the INS was now investigating, prosecuting and levying fines against corporate and individual employers and deporting aliens found to be working illegally in the US. Also during the 1980s, anti-immigrant movements began to rise, focusing mostly on Hispanic immigration in the American Southwest. This backlash continued into the 1990s with the passage of initiatives in California that sought to ban social services to illegal immigrants and eliminate bilingual education in public schools. The terrorist attacks of Sept. 11, 2001, shifted the immigration debate in a different direction. Upon learning the hijackers of commercial airliners that crashed into the World Trade Center and the Pentagon were non-US citizens who had slipped into the country despite some of them already being on terrorist “watch lists,” federal officials decided to make dramatic changes in government operations overseeing domestic security and immigration. As part of the formation of the Department of Homeland Security in 2003, the INS was changed into the US Citizenship and Immigration Services, while the US Customs Service became the US Customs and Border Protection agency. Furthermore, the law enforcement arms of the former INS and Customs Service were folded into the newly created Immigration and Customs Enforcement (ICE) in order to “more effectively enforce our immigration and customs laws and to protect the United States against terrorist attacks,” according to ICE. Almost overnight, ICE became the second largest law enforcement agency in the country, next to the FBI. 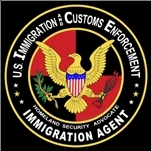 Part of the Department of Homeland Security, the Immigration and Customs Enforcement (ICE) office represents the second largest law enforcement organization in the US. Only the FBI is bigger. ICE enforces both immigration and customs laws, which involves going after illegal immigrants in US territory, employers who hire illegal immigrants and those trying to smuggle goods or contraband into the country. A top priority for ICE is to prevent terrorist groups and hostile nations from illegally obtaining US military weapons and sensitive technology, including weapons of mass destruction components. ICE’s Arms and Strategic Technology Investigations (ASTI) Unit is responsible for investigating such violations. Through an industry outreach program, “Project Shield America,” the ASTI Unit visits American arms manufacturers and technology companies to educate them about export laws and solicit their assistance in preventing illegal foreign acquisition of their products. Office of Detention and Removal Operations (DRO) is responsible for locating illegal immigrants, arresting and deporting them to their home countries. Under the leadership of Assistant Secretary Julie Myers, ICE ended the long-standing practice of “catch and release.” Intended as a cost-savings measure by immigration officials to streamline the deportation process, catch-and-release allowed illegal immigrants seized by immigration authorities to voluntary leave the US and avoid the consequences of deportation, such as being barred from legally re-entering the country for 10 years. All too often, however, illegal immigrants freed under catch-and-release did not leave the US. With heightened concerns over domestic security since 9/11, ICE and DHS decided to take a tougher stance with illegal immigrants by eliminating the choice of voluntary departure. ICE manages 16 detention and processing centers across the country, some of which are operated by private security companies. Large scale efforts to capture illegal immigrants are sometimes given a code name, similar to military operations, such as Operation Return to Sender. Office of Federal Protective Service (FPS) protects US government agencies and employees from criminal and terrorist threats. FPS is responsible for the safety and security of more than 8,800 federal facilities nationwide. Uniformed FPS officers and special agents respond to calls for assistance, conduct investigations, provide crime prevention tips and assist in emergency planning. All federal facilities under FPS control are supposed to receive a thorough building security assessment on a recurring schedule. During this assessment representatives of all agencies in a particular building are interviewed so that FPS can familiarize itself with agency tasks. FPS also gathers intelligence and crime statistics for the area under review. Existing security countermeasures are examined as well and then adjusted if deemed necessary. Office of Intelligence is responsible for collecting, analyzing and sharing strategic and tactical intelligence data for use by ICE and DHS officials. Intelligence officers focus on data and information related to the movement of people, money and materials into, within and out of the United States. On average the Office of Intelligence receives more than 1,800 classified reports or messages a day. Those tips deemed “actionable intelligence” are processed and disseminated to ICE headquarters and field personnel. Office of International Affairs (OIA) is the largest international investigative arm in the Department of Homeland Security. OIA interacts with the international law enforcement and other government operations while investigating immigration and customs violations, managing the Visa Security Program and the International Visitor’s Program and conducting international training. Office of Investigations (OI) is geared towards threats deemed to be of a “national security” nature. According to ICE, OI investigates issues such as immigration crime, human rights violations, human smuggling, narcotics, weapons and other types of smuggling, financial crimes, cybercrime and export enforcement issues. ICE special agents also conduct investigations aimed at protecting “critical infrastructure industries” that are vulnerable to sabotage, attack or exploitation. Office of Principal Legal Advisor (OPLA) is the legal arm of ICE, providing legal advice, training and services to employees and representing the agency and the US government in administrative and federal courts. Office of Professional Responsibility (OPR) is responsible for investigating allegations of misconduct involving employees of ICE and Customs and Border Protection (CBP). OPR adjudicates ICE background investigations - but does not actually perform them. Private companies are contracted by ICE to do background checks (see Stakeholders). OPR also issues security clearances for all prospective and current ICE employees and contracted staff. OPR inspects and reviews ICE offices, operations and processes to provide executive management with independent reviews of the agency’s organizational health. Office of Congressional Relations (OCR) represents the lobbying wing of ICE, conducting liaison activities with Congress. According to FedSpending.gov, ICE paid 1,542 private companies more than $1.3 billion for a variety of services and goods in FY 2006. The biggest among these is Akal Security. The second biggest in FY2006 was Blackwater, a controversial firm that has gotten into trouble for its actions in Iraq as part of a contract with the State Department. ICE has contracted with Blackwater for guard and training services - and ironically, ICE has found itself investigating allegations that Blackwater illegally smuggled silencers into Iraq (see Controversies). Of the money spent on contractors by ICE, the largest share went for guard services. ICE uses private security companies to help detain illegal immigrants. According to the Inspector General of DHS (PDF), ICE has used private firms to run detention centers in Aurora, CO; Houston and Laredo, TX: Seattle, WA; Elizabeth, NJ; Queens, NY; and San Diego, CA. One company that has run multiple detention facilities for ICE is the Corrections Corporation of America (CCA), the nation’s largest owner and operator of privatized prisons and the largest prison operator in the US behind only the federal government and three states. CCA has operated the Stewart Detention Center in Lumpkin, GA, and the T. Don Hutto Residential Center in Taylor, TX—which was sued by the ACLU over its treatment of illegal immigrant families (see Controversies). ICE also has used the GEO Group, another private prison operator, to manage the Migrant Operations Center in Guantanamo Bay, Cuba. The center houses undocumented aliens who are interdicted at sea in the Caribbean region. When it comes to conducting background checks of new ICE employees, ICE uses Kroll, a leading risk consulting firm, which was awarded a $30 million contract to investigate current and prospective employees and contractors. Kroll has been performing background investigations for ICE since January 2006. ICE has endured numerous complaints about its immigration operations. For starters, the American Civil Liberties Union (ACLU) sued ICE over the running of the T. Don Hutto Detention Center in Taylor, TX. Operated by Corrections Corporation of America, the center was designed to house illegal immigrant families awaiting deportment. The ACLU filed a lawsuit contending that children at the facility were being denied certain rights as provided under Flores v. Meese. Attorneys for the ACLU reached a settlement with ICE (PDF) which agreed to implement a long list of changes in how the center is run. The Inspector General of the Department of Homeland Security faulted ICE’s system for tracking immigrant detainees. A November 2006 report found that immigration officers were slow to log detainee information into ICE’s computers, making it difficult for the public to locate family or friends being held. In addition, the IG discovered that ICE detention centers did not have a uniform policy for releasing information about detainees. Failures to update computer records in a timely manner also resulted in ICE overpaying private contractors for detainees who had been released. In January 2008, McClatchy newspapers reported several examples of American citizens being detained by ICE and threatened with deportment. One such incident involved a man born and raised in the US who was labeled an illegal immigrant from Russia by immigration officials. The man was held for weeks in a detention facility in Arizona before ICE realized the mistake and set him free. According to one investigation, more than 100 people held in immigration detention centers across the nation had valid US citizenship claims. More than 100 employees of a Los Angeles manufacturing company claimed they were illegally detained by ICE agents during a February 2008 raid. One hundred and thirty eight people were arrested at Micro Solutions Enterprises on charges of immigration violations and other crimes. But another 114 workers - all US citizens or legal permanent residents—were forced to show proof of legal residency during the four-hour raid and were subjected to verbal abuse by ICE agents. The workers filed a complaint with DHS and sought monetary rewards because of ICE actions during the raid. ICE’s Mira Loma Detention Center in Lancaster, CA, was the site of a riot involving hundreds of immigrant detainees in April 2008. The riot started when members of rival gangs began fighting, causing the violence to spread to other parts of the detention center, which houses 900 prisoners. Guards were forced to use tear gas to stop the riot. Ten detainees were treated for injuries, including two who suffered serious head injuries. Efforts by ICE to speed up the deportation of illegal immigrants have not always been successful. In Virginia, officials implemented one of the nation’s toughest policies for rounding up illegal immigrants in Prince William County. ICE had agreed to pick up detainees from county jail within 72 hours of being convicted of a crime and deport them. But instead ICE officers were taking weeks to show up. The delay created additional stress on the already overcrowded jail and cost the county $3 million in extra transportation and processing costs. Legal residents had to be shipped to other detention centers in the state, making it more difficult for family members and attorneys to visit. After complaints were filed by local officials, ICE agreed to begin making twice-a-week pickups from the county’s largest jail. In 2007 ICE was told along with other federal agencies to look into allegations that private security firm Blackwater USA had illegally smuggled silencers out of the US and into Iraq and other countries. In addition to ICE, the Bureau of Alcohol, Tobacco and Firearms, the State Department and the Commerce Department were investigating whether the company exported the sound suppressors without getting necessary export approval. The investigation was part of a broader examination of potential firearms and export violations allegedly committed by Blackwater. According to FedSpending.gov, ICE paid Blackwater more than $73 million in FY 2006 for a variety of security services. How do I go about contacting ICE regarding KNOWN illegals in my hometown? Is there a phone number and extension I can call to lodge a complaint? I.C.E. needs to investigate Tuff Torq Corportation in Morristown TN they hire illegals, And have hired them full time some have been found out by the SS administration and had to leave, there are more haspanic workers at the company than locals, the locals are being discrimated aganist in the company, all the illegals are coming through Atwork temp service. they need to be shut down and put a stop to all this the local people do not have a chance in that company. I.C.E. needs to investigate Sams Construction in Alexander, NC. He hires illegals and doesn't care if they keep their green card current. I SEE IN THE NEWS THAT THEY DEPORTED THE MOM FROM ARIZONA FORBREAKING A LAW IN THE PAST. ARE YOU GOING AFTER THE FIRST LADY FOR DOIG THE SAME? I would greatly appreciate if ICE officers wasn't so rude and disrespectful to the family of a immigrant. I would also like to let y'all know that when you deported my son-inlaw,it really affect my grand-daughter. The one that was deported was one that worked from daylight to dark. Supported his family. And the officer that is over him is very rude. And I have wondered, Has anyone of you concerted that God created us all equal. God created this word not ICE. Please bring my son-inlaw home where he belongs. Well I would like to say I am disappointed in the system. I am veteran and was told by my sister who was detained by the system for no apparent reason that I only became legal in this country because I married my husband. Defamation of character by a work in the system and the fact that I am a disable vet that is being call a lier for my injury by your worker too my sister is here in the country to help me after surgery but was told she lied I can send them my medical records so they can go thru it since they search things that have nothing to do with them like cell phone and tablets and revoking her travel to be with me while I recover. How do I get a whole of someone with more sense that the individuals that didn't call the personnel that she was staying with on her previous travel if they need information on her reason on her stay. I am legal in this country and serve in the military and so is my husband currently. Can someone pls give me information on how to figure out what is going on with the system that won't allow my sister come and assist me in my time of need. I need to report someone for working under some one else's name . Who is out on bond for Dui he is a threat to or susiaty.He also married me under false pretense and pd money to bring his ex baby mom to get to stay in U.S.A. HE NEEDS TO GO BE DEPORTED FOR HIS WRONGS . Donald Trump promised to deport undocumented immigrants and in Thomas Homan, who is the acting director of Immigration and Customs Enforcement (ICE), he has a man who won an award for deporting thousands of people. Homan is from West Carthage, New York, in the far northern part of the state. He graduated from Carthage High School in 1979 and went to Jefferson Community College and subsequently the State University of New York Utica-Rome, where he earned a Bachelor of Applied Science in criminal justice. Homan went to work for the West Carthage Police Department, as his father and grandfather had. In 1989, he moved to what was then the Immigration and Naturalization Service (INS). He was a Border Patrol officer and began to move up the ranks in the INS as a special agent and investigator. By 2006, Homan was a special agent in charge for what had become ICE’s Enforcement and Removal Operations (ERO) division. He was named ERO’s assistant director for enforcement in 2009 and the following year was made deputy associate director for enforcement. Homan moved to Washington as executive associate director of ICE in charge of ERO. He was so successful at his job that in 2015, he earned a Presidential Rank Award from President Barack Obama and the White House Office of Management and Budget for the thousands of deportations he had supervised. Trump tapped Homan to lead ICE on January 30, 2017. At about that time, ICE appeared to step up its pace of raids and deportations. Homan agreed to sit down on February 14 of that year with the Congressional Hispanic Caucus to address its concerns about the raids, but later backed out of the meeting. On September 17, 2014, the Senate Homeland Security and Governmental Affairs committee heard the testimony of Sarah R. Saldaña to be the director of Immigration and Customs Enforcement. Born in 1951, Saldaña, the youngest of seven children, is from Corpus Christi, Texas. Her father, Luis, was a plumber and her mother, Inez Garcia Saldaña, was a nurse. Saldaña graduated from W.B. Ray High School in 1970 and went on to attend Del Mar Junior College. She graduated from Texas A&I University in 1973, earning a degree in only three years. She taught 8th grade language arts at D.A. Hulcy Middle School in Dallas for a year, but in June 1974 began working for the Equal Employment Opportunity Commission (EEOC) as a technician. In 1975 she was a management intern for the Department of Housing and Urban Development and late that year went back to the EEOC as an investigator. From 1976 to 1981, Saldaña worked for the Department of Labor Employment and Training Administration . Saldaña then began law school at Southern Methodist University in Dallas and earned her J.D. there in 1984. She then clerked for federal District Judge Barefoot Sanders, who oversaw the desegregation of Dallas schools. Saldaña went into private practice in Dallas in 1985, first at the firm of Haynes and Boone, where she worked on communications and employment law; and then, for 11 years, at Baker Botts, where she was a trial attorney. Beginning in 1999, Saldaña took five years off to raise her son. She did run for judge in 2002, but fell short in the voting. When she did return to the courtroom, it was as an assistant U.S. attorney in Dallas in 2004. Saldaña was part of the office’s fraud and public corruption unit and in 2009 helped handle a corruption scandal involving Dallas city officials charged with bribery and extortion in connection with affordable housing contracts. She saw Mayor Pro Tem Don Hill sent away for 18 years. When President Barack Obama took office in 2009, he had a chance to appoint the U.S. attorney in Dallas. Saldaña, a Democrat, had the backing of Republican Senators John Cornyn and Kay Bailey Hutchinson, but not of the Texas Democratic congressional delegation. Some suspect Democrats withheld their support because of the conviction of Hill. It took 2½ years, but Obama finally nominated Saldaña for the job and she was easily confirmed. Saldaña’s husband (her third), Marine veteran Don Templin, is a retired attorney. They married in 1988. They are members of the First Unitarian Church of Dallas. One of her sisters, Marisela Saldaña, was a district court judge in Corpus Christi and is currently a visiting judge.